We are excited to have you join us on our Birthday Blog Train! The designers have created some special gifts for you that coordinate with the color palette used for the forum rewards this month. 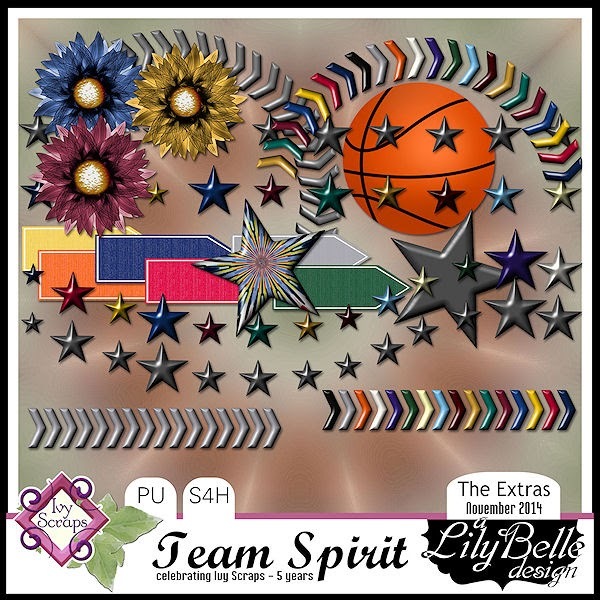 Between the challenge rewards, birthday rewards and the blog train, you will have a very nice assortment of things to scrap your "Team Spirit". The train will run for the month of November so be sure to hit all the stops and collect your gifts. Don't forget to leave some love along the way. The main station is the Ivy Scraps Blog. You will find the full list there. If you get lost along the way, just head back to the blog and pick up where you left off. Thank you so much for being a part of our 5th birthday celebration! Wow, thanks for those awesome elements! Thank you!! I love your Leftovers! !